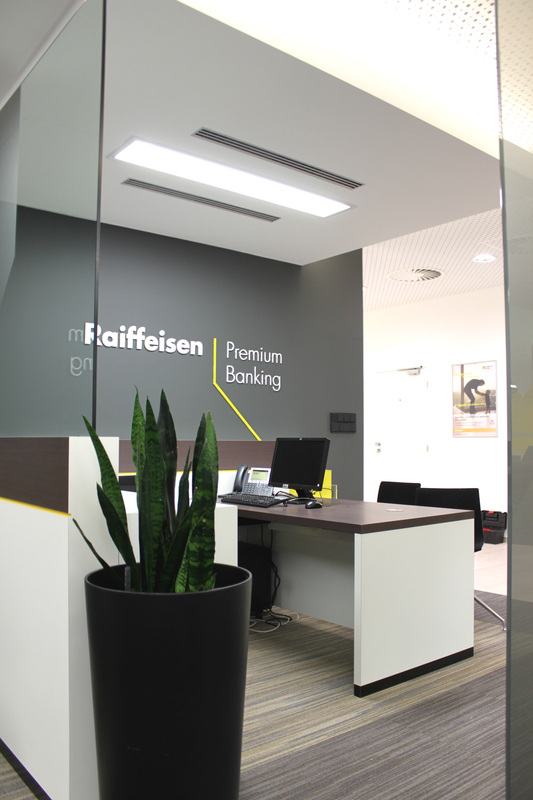 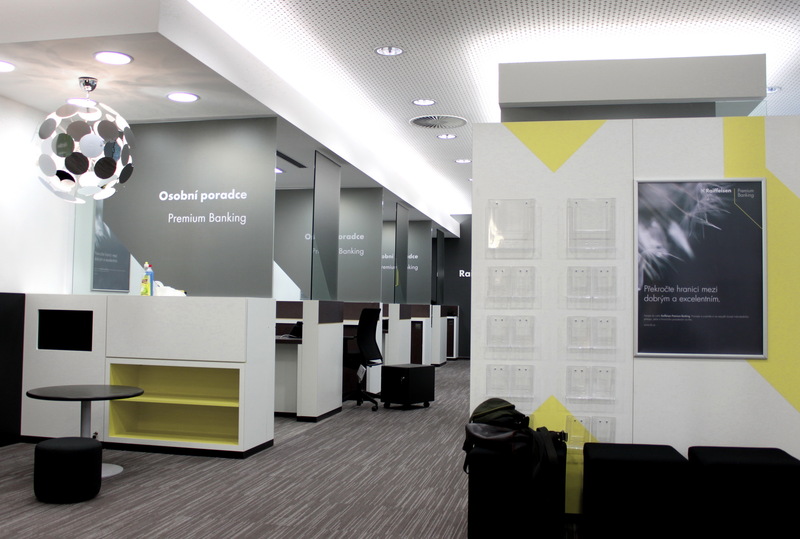 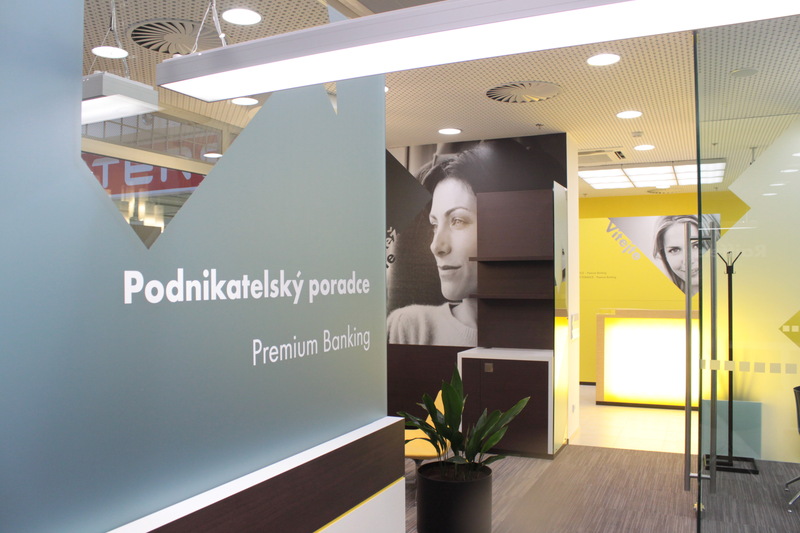 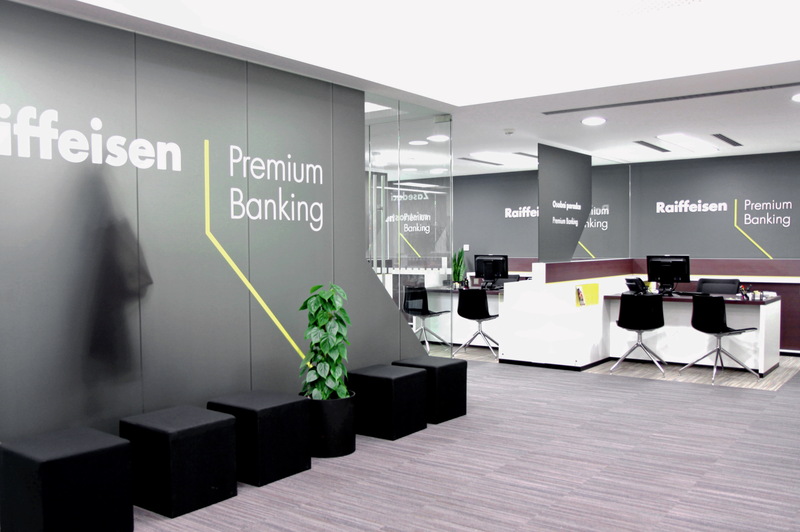 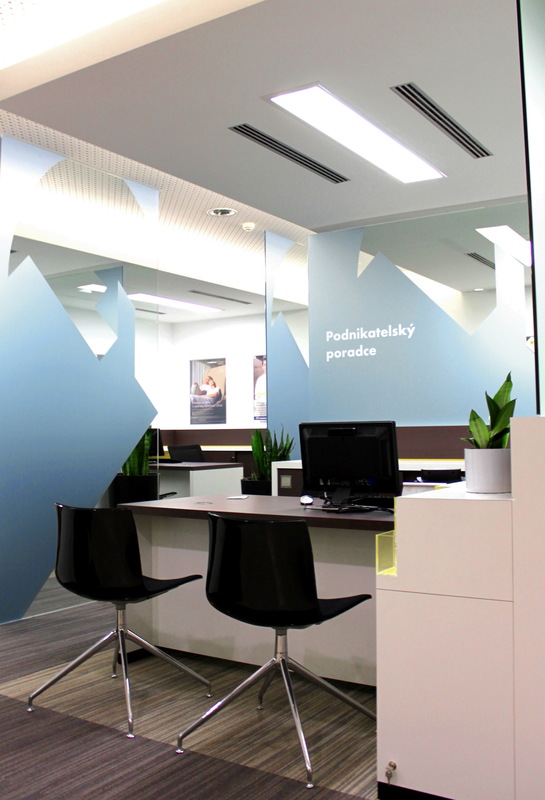 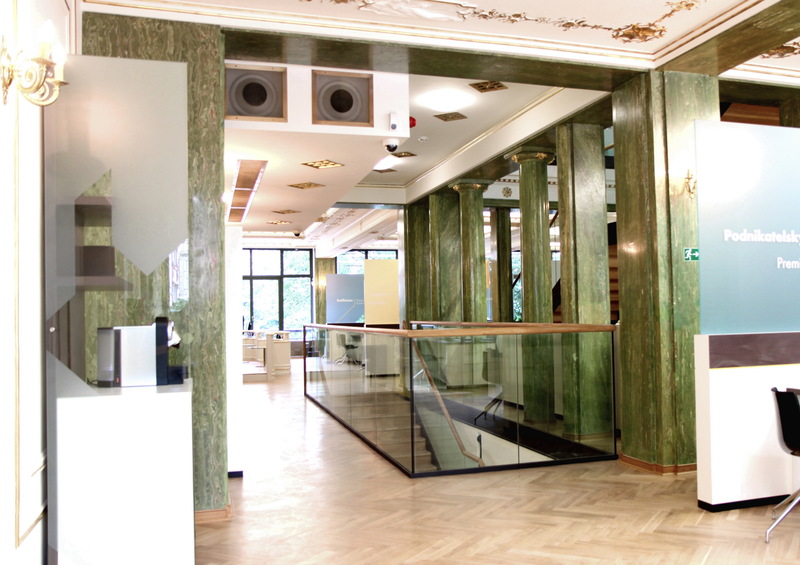 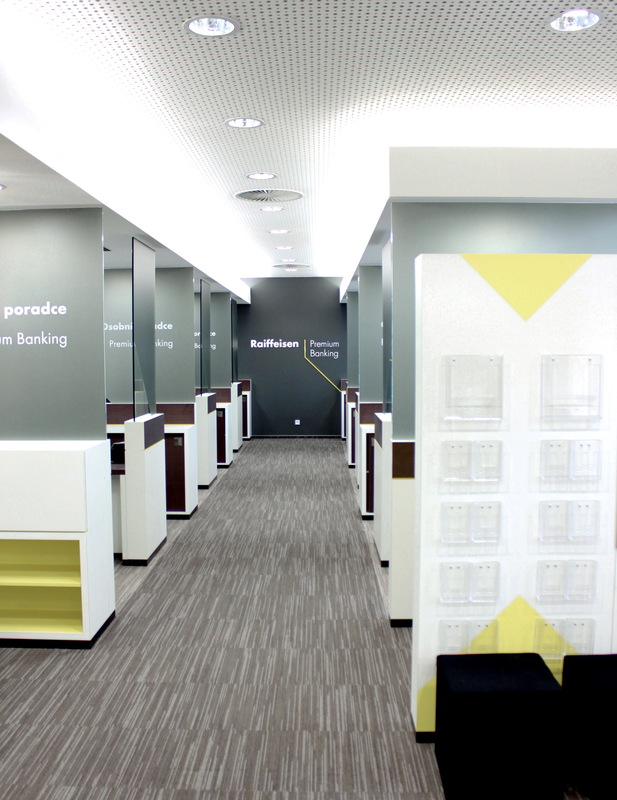 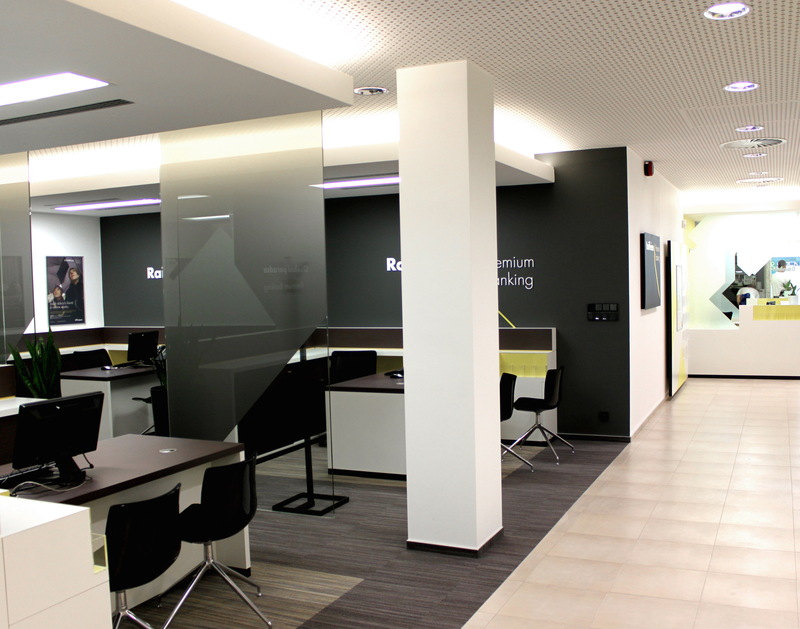 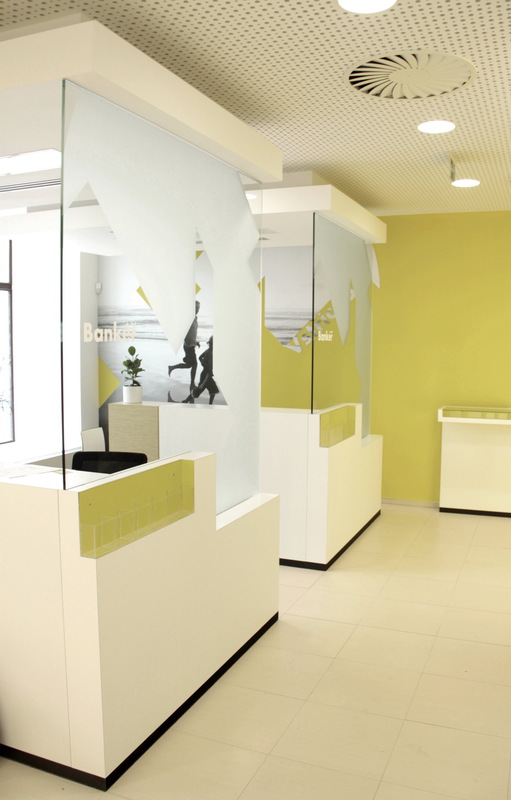 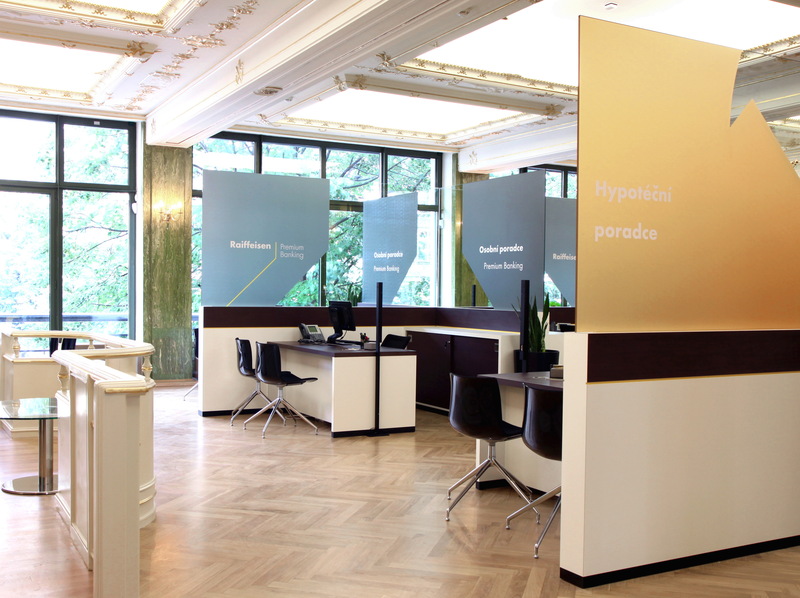 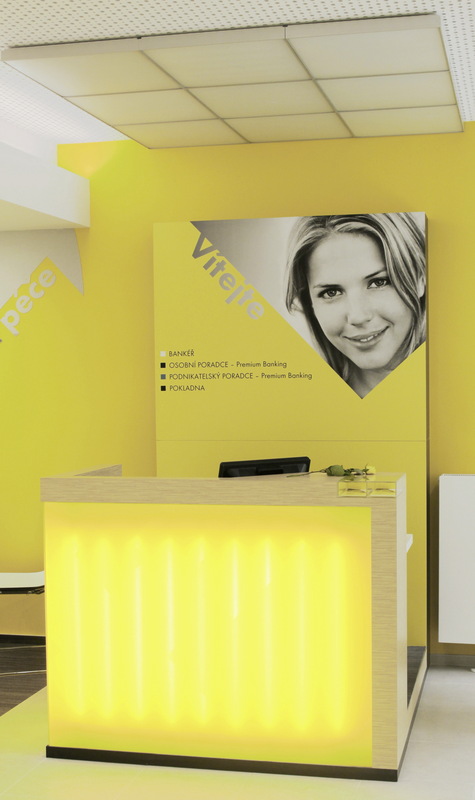 With the decision of Raiffeisenbank a.s. A total of 54 branches throughout the Czech Republic were designed and built (or upgraded) to expand and upgrade the branch network over the course of 2 years. 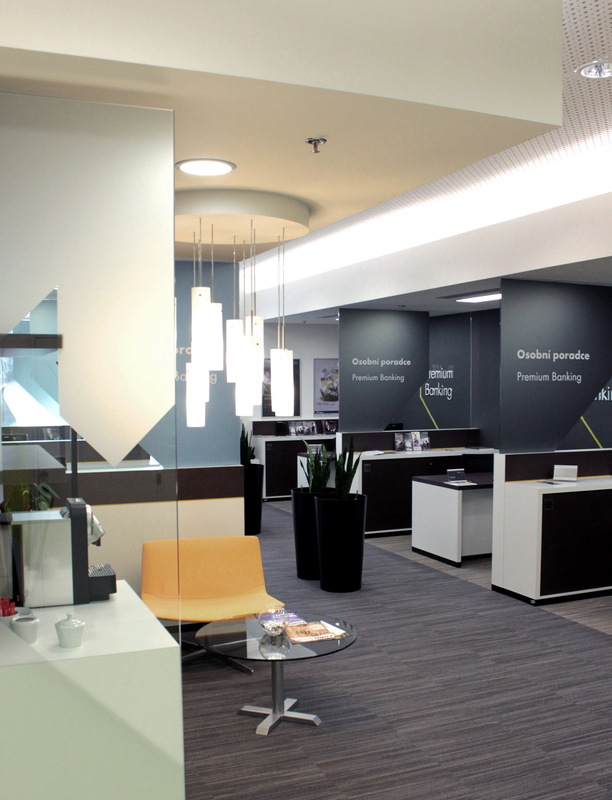 Such a large scale required the processing of an architectural manual for branch design, which became the basis for architectural, structural and layout solutions. 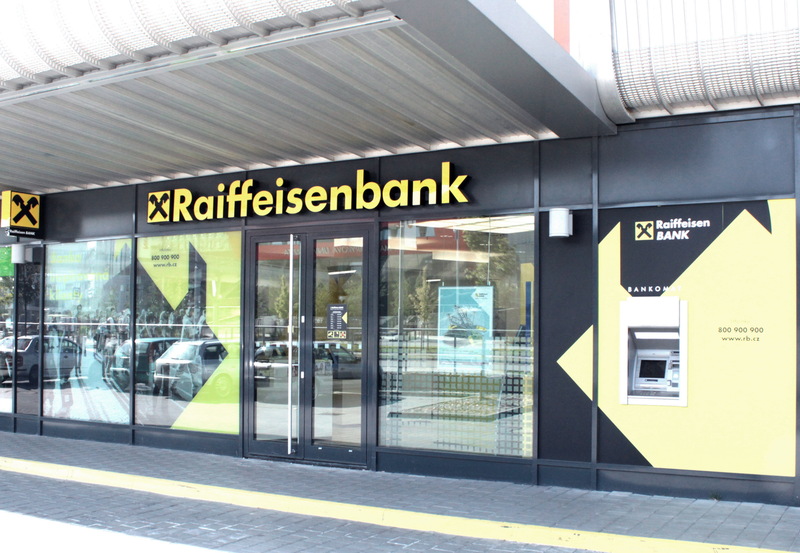 New unified expression of RB a.s. it was applied in various types of buildings, from historic buildings in the city center to shopping centers, and besides the interior changes, it also touched the facade of the buildings where new marketing signs were implemented. 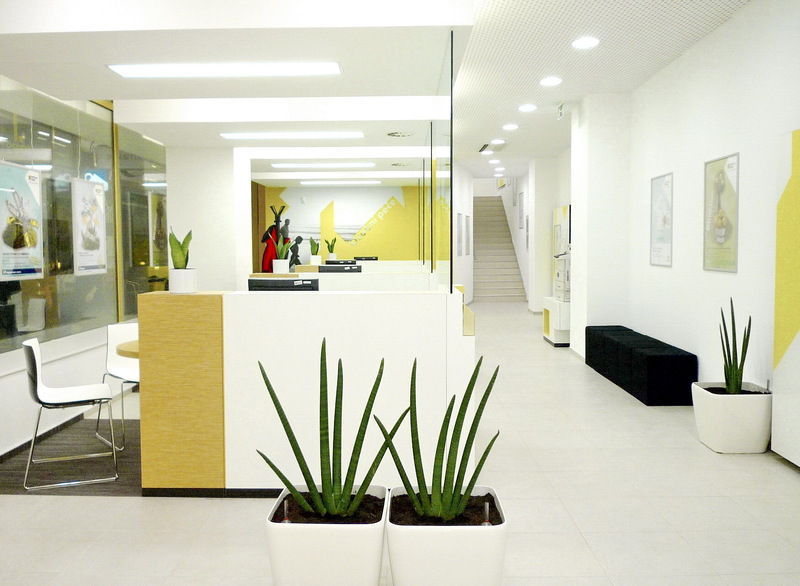 The content of individual branches varies according to the requirements of the sales department, but the division into the client’s hall, closed offices (director, meeting room) and staff facilities remains the basis. 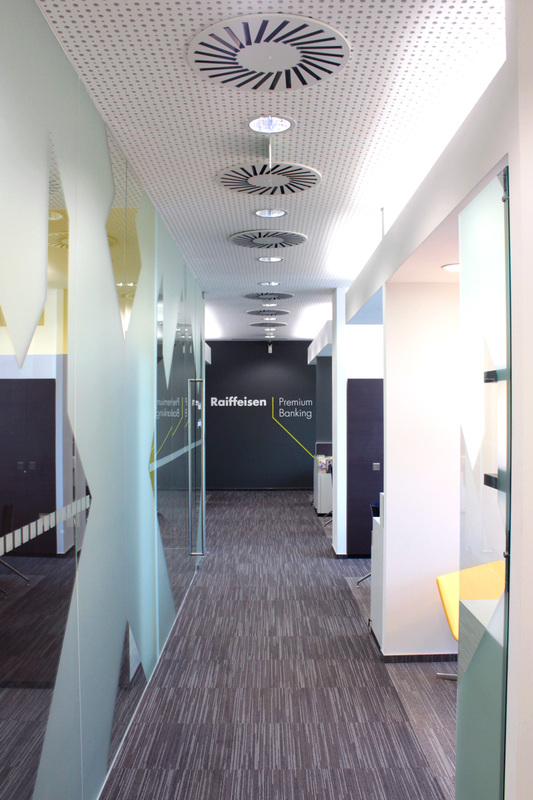 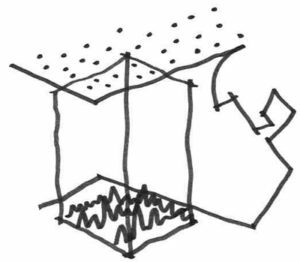 The different functional zones and workplaces are defined by different types of floor coverings, walls, suspended ceilings and furniture. 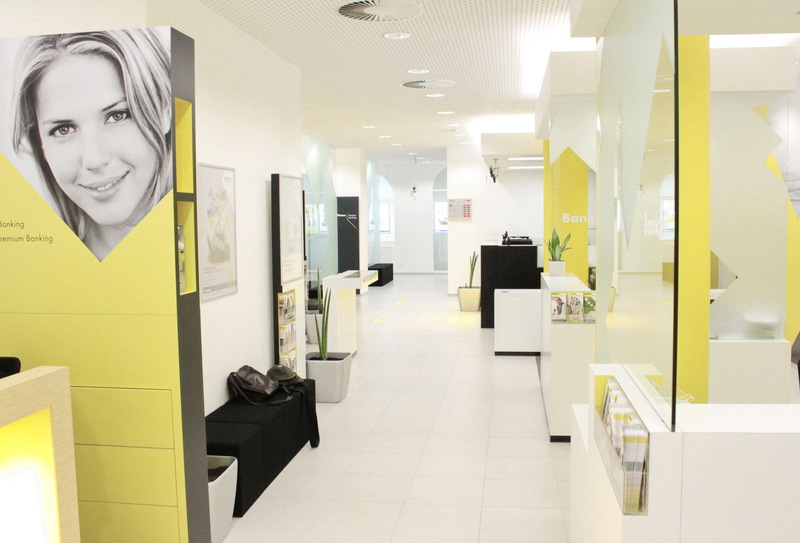 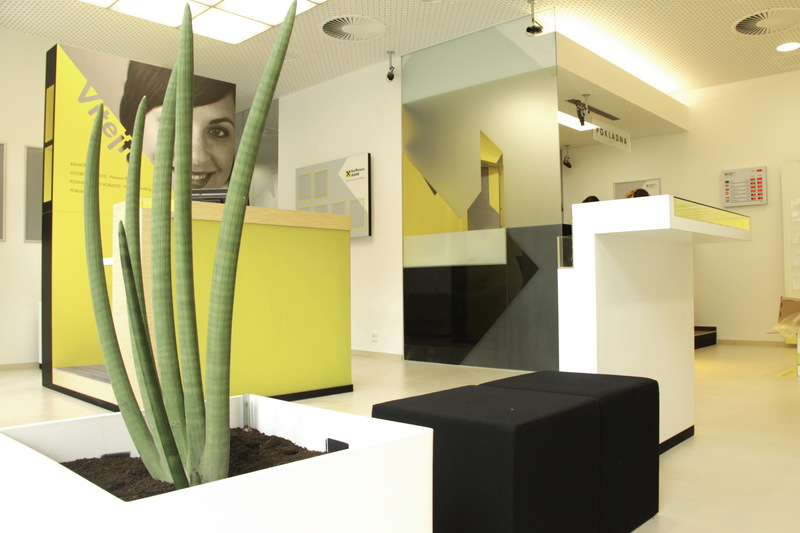 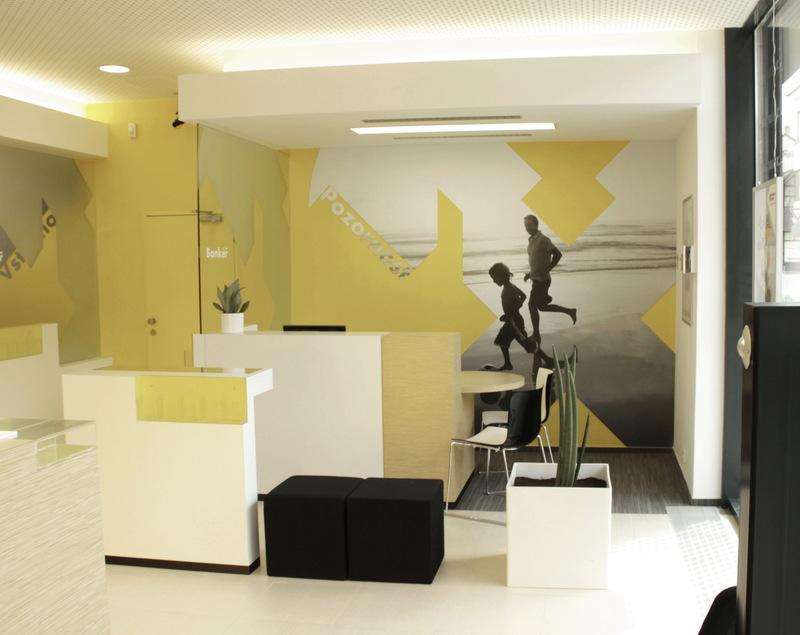 The basis of the color solution is the white color together with the corporate colors black and yellow, which are complemented by natural shades on the decor of the furniture or floor covering.